An event always looked for personally, is any large-scale arrival of migrants onto the UK's east coast. Over the following two or three days, the species which arrive in the largest numbers during these falls, sometimes occur here. Such a link may already be well known to many active bird watchers in Nottinghamshire and the Midlands and the most obvious case (although a slightly different event) is the mass arrival of Fieldfares and Redwings during October. The arrival of our wintering thrushes in Nottinghamshire, usually takes place the same morning as birds arrive on or over the east coast. 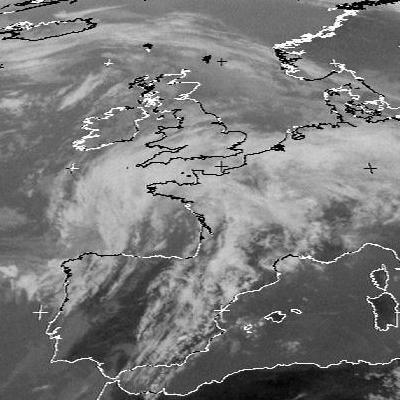 The timing in this instance then, is perhaps slightly different, with many flocks pausing briefly to feed and rest on landfall and then continuing westwards shortly afterwards. Indeed, many flocks don't even seem to stop, continuing their journey until around mid-day, judging by their (at times) extremely high altitude over Eakring. This is probably the case when conditions are very favourable and the birds have a tail wind. This article is aimed at normal east-coast falls, usually involving warblers, flycatchers and chats. Interestingly Pied Flycatcher is one species yet to occur here during the Autumn. During the following two or three days, some of these Scandinavian migrants filter inland, giving rise to many of their late occurrences in Nottinghamshire. Many records here, most notably from mid-September onwards, can be directly linked to such arrivals. 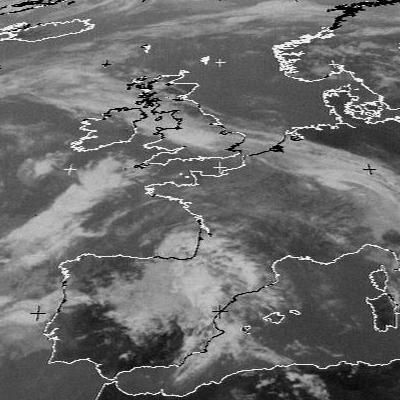 Classic fall conditions of bad weather on September 9th, saw heavy rain up the eastern-side of the UK, coupled with high-pressure over Scandinavia and largely easterly winds onto the coast, providing the correct conditions for a huge migrant fall during the afternoon. The fall consisted of many Pied Flycatchers, Redstarts and flocks of Crossbills among large numbers of commoner migrants. Unfortunately, none of these were recorded from the Eakring area, but continued numbers of Chiffchaffs moving through Eakring Flash, along with smaller numbers of Spotted Flycatcher, Blackcap (unusual for Eakring Flash in Autumn) Whitethroat and Lesser Whitethroat, were all probably associated with this fall. Subsequent migrants at Eakring associated with the September 9th fall consisted of three Whinchats 10-12th, Reed Warbler and Sedge Warbler on 10th. Spotted Flycatcher, Willow Warbler and good numbers of Chiffchaffs 11th. Just over a week later, a very late Reed Warbler and Lesser Whitethroat, with further Chiffchaffs (all on 18th) were probably as a direct result of further coastal arrivals after September 9th. 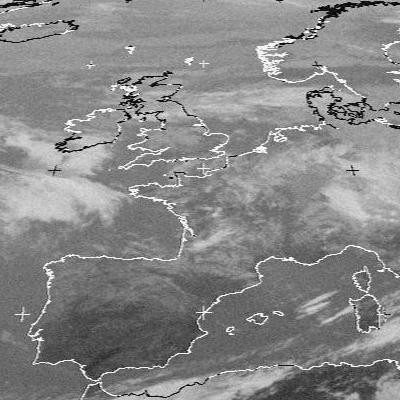 The three Meteosat satellite photographs on the left, show the weather sequence from September 20th-22nd 2001. 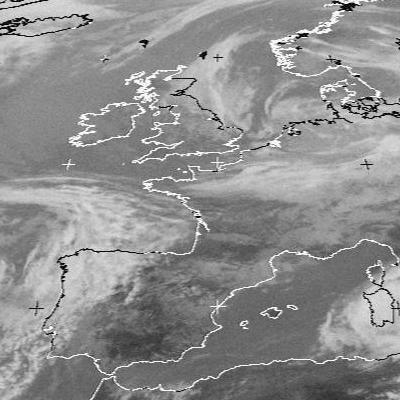 The conditions of the 20th represent classic fall conditions, with clear weather over Scandinavia, north-easterly winds and a frontal system over the mid-North Sea and eastern areas of the UK. 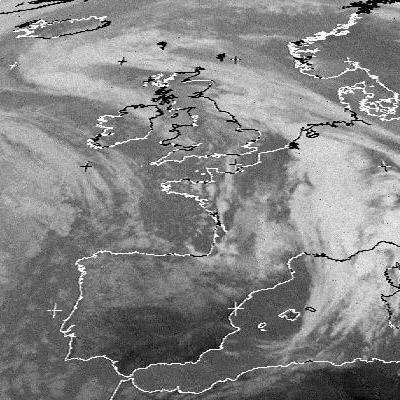 This meant that birds left Scandinavia in excellent conditions, but flew into worsening weather mid-way through their North Sea flight. 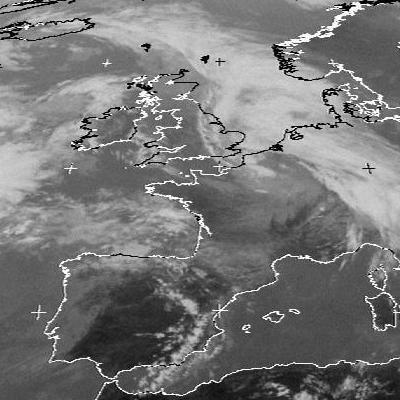 Some may have turned back and tried again several days later on the 25-26th when conditions improved. August saw east coast arrivals on August 18th-20th and both Reed Warbler and Redstart at Eakring a few days later on the 23rd. 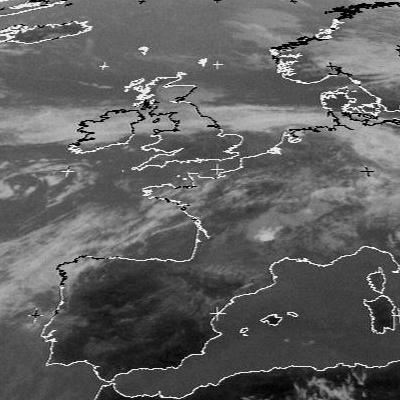 Another fall on August 24th-26th failed to provide any definite migrant arrivals here. Classic fall conditions on September 20th-22nd provided a late Reed Warbler, Whitethroat, Willow Warbler and three Lesser Whitethroat. There were also records of single Whinchat and a Greenland Wheatear. 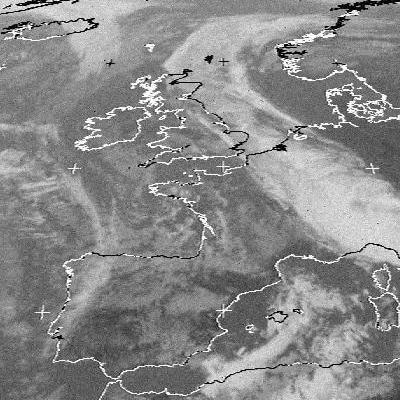 After the September 20-22nd fall, there was a much larger coastal arrival on September 25th-26th (shown in the two photographs on the left) which brought with it several major rarities along the whole of the UK's east coast. 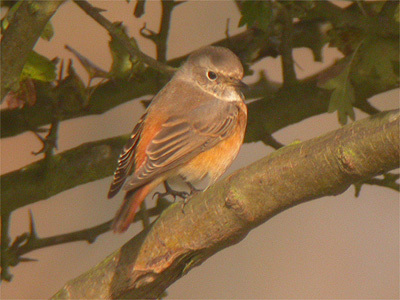 The fall contained numerous Redstart and Robin which allow a possible link with this fall, to the increase in numbers locally at Eakring and Kersall, which was noted at the same time. Good numbers of Blackcap also arrived at Eakring. October 10th-12th saw a large Stonechat influx into Yorkshire and Lincolnshire, more especially along the coast. Birds filtered inland and this was also noted slightly later in the Midlands, but the influx was still very noticeable. Five Stonechat occurred during this time in the Eakring area and represented an unprecedented arrival, especially within such a short period of time. There were three coastal fall periods in 2000, all producing Wheatears and/or Whinchats. Late Tree Pipit records (from the Eakring area and other Nottinghamshire sites) could not be directly linked to any numbers along the coast, but their occurrences was undoubtably influenced by this. Falls between August 26th-29th produced three Whinchat, three Sedge Warbler, an increase in the numbers of Whitethroats around the area and two Spotted Flycatchers. It was nearly a month later before there was another arrival on September 20th-25th. Eakring migrants associated with this were four Wheatear and two Whinchat. Four very late Tree Pipit between September 27-28th, may also have been linked with this coastal migrant arrival. September 30th-October 3rd was another period which provided some very late Eakring migrants. A single Wheatear, three Whinchat, two more Tree Pipit, three White Wagtail and small numbers of Chiffchaffs were all recorded. Good conditions are again produced in the two photographs on the left, taken ten days apart. 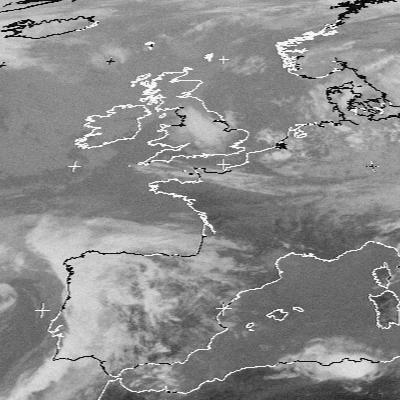 The far left photograph shows the weather on September 20th, with September 30th on the immediate left. 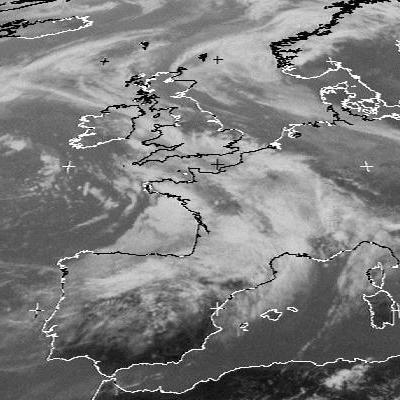 Clear weather over Scandinavia allows a good start for migrants, which later hit poor weather mid-way over the North Sea. 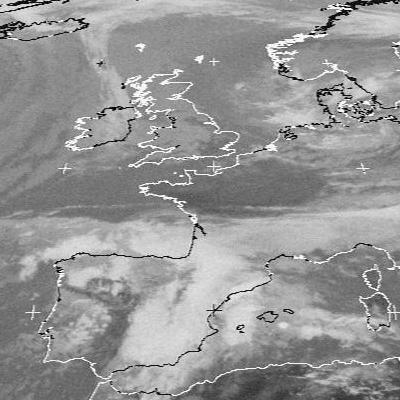 There were three arrivals along the east coast during the Autumn. The first of these occurred on August 20th-22nd and there were record numbers of Spotted Flycatcher at Eakring (14 birds at three sites) single Whinchat and a Wheatear, all on the 22nd. Common migrants included several Willow Warbler, with smaller numbers of Blackcap and Lesser Whitethroat. 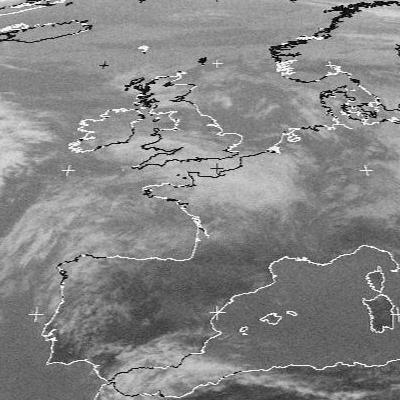 The photograph on the left shows the weather over Scandinavia and the UK at the time. September saw migrants reaching the coast between September 12th-15th and September 21st-26th. Corresponding with the first of these arrivals were three Whinchat, single Wheatear on 13th, two Redstart, single Whitethroat, Sedge Warbler and a rare Autumn record of Grasshopper Warbler at Eakring Flash from 13th-14th. Migrants reaching the Eakring area on 21st-26th again included Whinchat, another two Redstart, several Chiffchaff and Blackcap, single Whitethroat and Lesser Whitethroat. Another east coast fall from October 15th-20th provided no definite migrant arrivals in the area. In addition and seemingly not connected to any large numbers on the coast at the time, there was one of the most notable arrivals into the area on the earlier dates of August 3rd-5th. This involved a single Whinchat, good numbers of Chiffchaffs, 11 Lesser Whitethroats and a Reed Warbler. 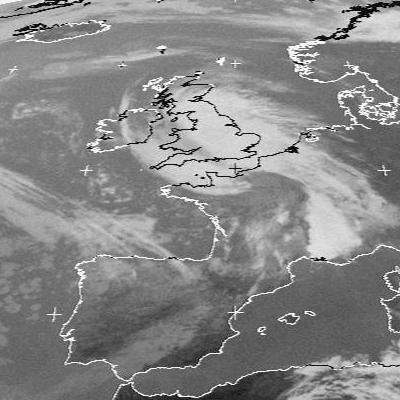 Conditions (shown in the two photographs on the left) were again right for large numbers of migrants to appear along the English east-coast, with high-pressure situated over Scandinavia and the North Sea, and an almost stationary frontal system stretched across the UK. During the early Autumn there were four migrant falls along the coast. All of these corresponded to birds arriving in the Eakring area at around the same time. The two species predominantly involved in these falls were Whinchat and Redstart. East coast arrivals on August 30th saw five Whinchat and a Redstart at Eakring the day after this arrival on August 31st. These birds remained in the area and were joined by at least another five Whinchat and two Redstart following further coastal arrivals on September 2nd-5th. Between September 3rd and 8th, there were counts of ten Whinchat and three Redstart in the area. In addition, several Chiffchaff, smaller numbers of Willow Warbler and three Spotted Flycatcher, all passed through within this period. Single Redstarts at Red Hill and Eakring Flash on September 29th, were associated with another coastal arrival on September 24th-27th, but then yet more new Redstarts arrived between October 2nd and 7th after a fall on October 2nd-3rd. Five Redstart were recorded, with two Wheatear on the 4th and small numbers of Chiffchaff. 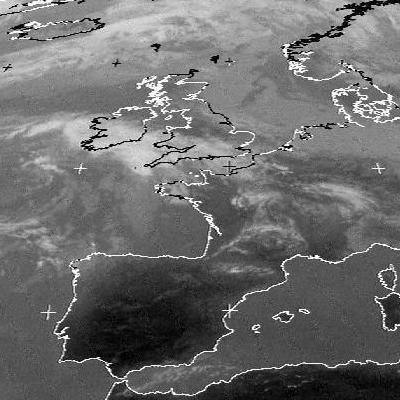 Satellite sequence showing conditions attributable to the east-coast recieving large numbers of migrants on September 2nd-4th, which subsequently moved through the Eakring area over the next few days.